How much time do you spend booking a flight? A virtual assistant can help you with your travel planning and booking. It's easy to book a flight. However, over 50% of people spend more than an hour booking a simple flight. That's a lot of time. In fact, according to a study by Expedia, travel package bookers visited 38 travel websites 45 days prior to booking travel. That's a lot more than an hour. You don't have to be a corporate executive to enjoy the benefits of a travel manager. A virtual assistant can manage your travel instead and save you time. She can research, plan, price and book your flight. Whether you're traveling for business or pleasure, your assistant can take care of the details. She can also have your rental car waiting at your destination airport, reserve your hotel, and plan your itinerary. How many times have you researched a flight to find the price has gone up significantly by the time you book it? Most of us don't have time to monitor the prices in real time, so let your virtual assistant do this for you. She can work with your preferred travel agency, book it online, or deal directly with your preferred airline. Plus, your assistant can manage your frequent flyer account to ensure you get the seat and meal options you want, ensure you get credit for miles flown, and even request the coveted upgrade! Unlike travel agencies that simply give you options on trips, a virtual assistant knows you. Not only can she handle the booking details, she's also behind the scenes for your entire trip. If anything goes awry, she can make on the spot changes and get you back on schedule. Want to make a change during the trip? Done. 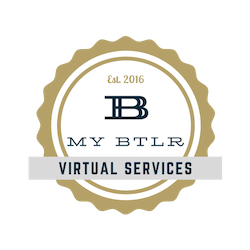 Book restaurant reservations on the fly — a virtual assistant can do that too! Leave your travel details to a virtual assistant and enjoy your trip. Call My BTLR today to find out how easy it is.